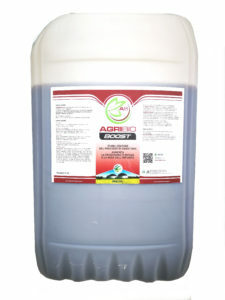 AgriBio Boost is a 100% natural bioactivator that improves the digestion process. The microorganisms present in the digester, are responsible for the transformation of the organic substance, the use of AgriBio Boost increases their activity for which they act more effectively in the digestion process.The use of AgriBio Boost, involves a better methanogenic phase of the digestion process which results in an increase in biogas yields. Scientific research and tests have shown that using AgriBio Boost, regardless of the size of the digester, there is an increase in biogas production ranging from 5 to 25%. The product consists of plant extracts and fermented algae, contains trace elements, vitamins and enzymes that can be fully absorbed by the microorganisms that are present in the digester.